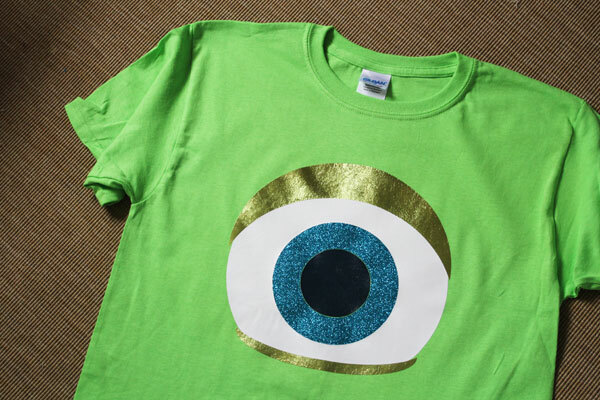 Years ago I made a Mike Wazowski shirt that is one of my favorite projects. 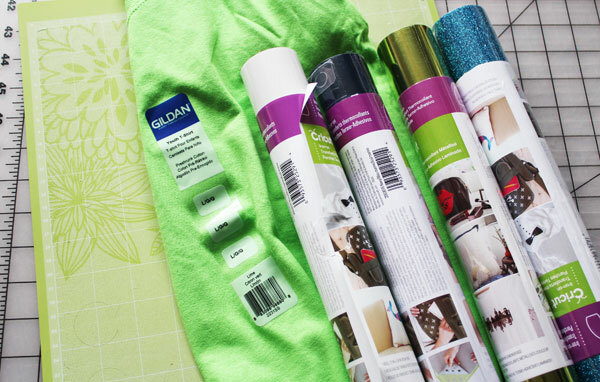 But to make the Monsters Inc shirt, you need a little bit of skill with paint. I love creating projects that even someone who claims to be “not at all crafty” can make, so I re-designed this Monster Eyeball DIY Shirt so that it can be made using vinyl! 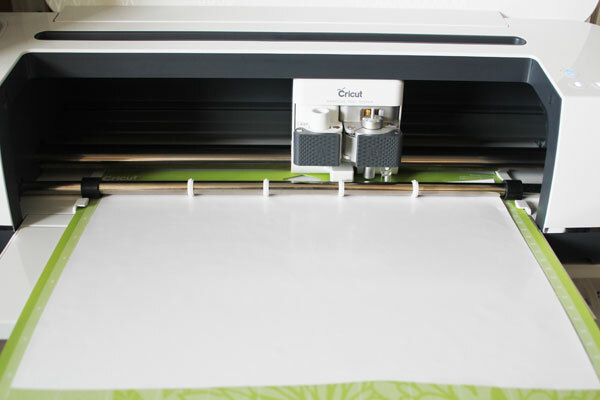 The Cricut machine will cut all the pieces to size with ease, and all you have to do is put them back together like a very simple puzzle, then iron them in place. 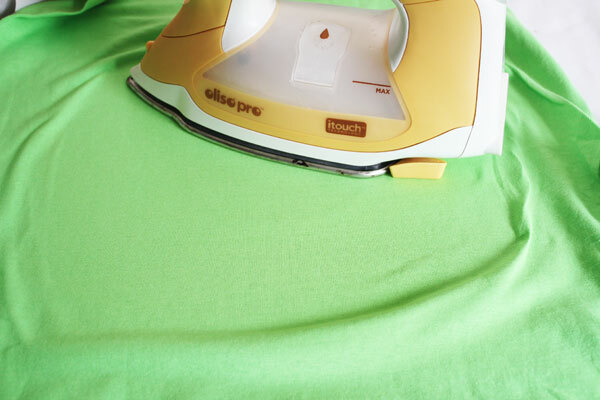 This is an easy to make Monsters Inc shirt! 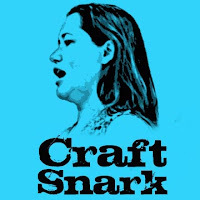 Today’s project is part of Craft Lightning Week. 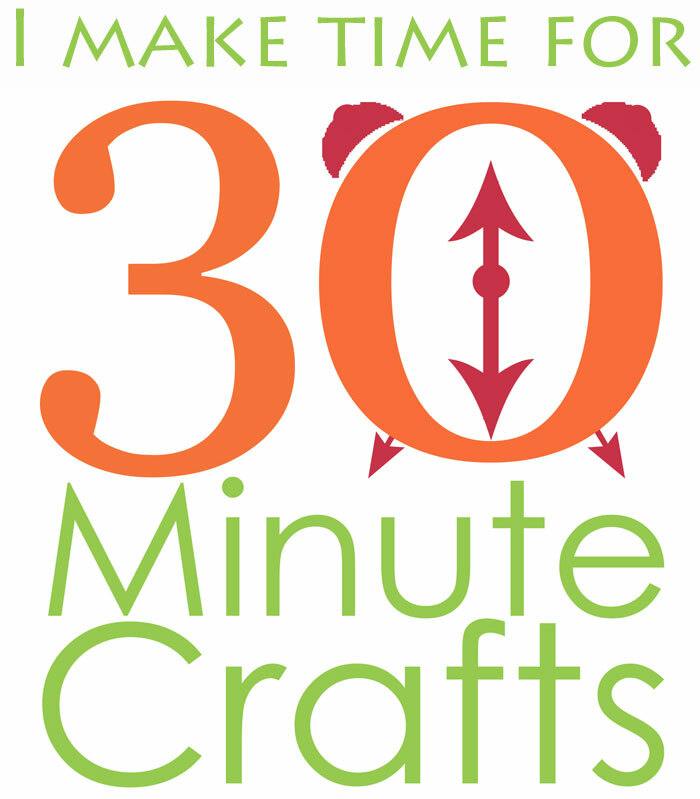 All week long my friends Angie from The Country Chic Cottage and I are sharing 15-minute-or-less projects. 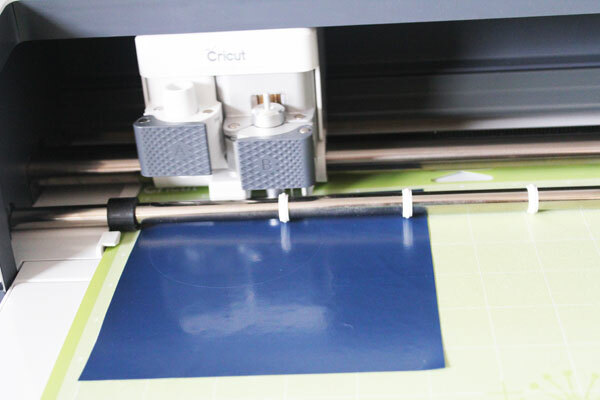 This week not only are the projects fast, but they’re also Halloween themed, and use the Cricut Machine! We’ve invited a bunch of our friends to join in as well, so scroll all the way down to check out their great ideas! Open the Cricut File I created to cut the eyeball. Cut out the vinyl. Make sure you cut with the right side (shiny side) DOWN on the mat. 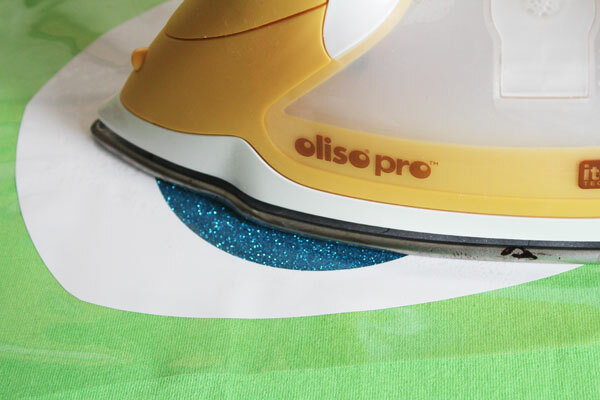 Before you cut the glitter vinyl, make sure to change the setting from regular vinyl to glitter vinyl. It will make a difference. 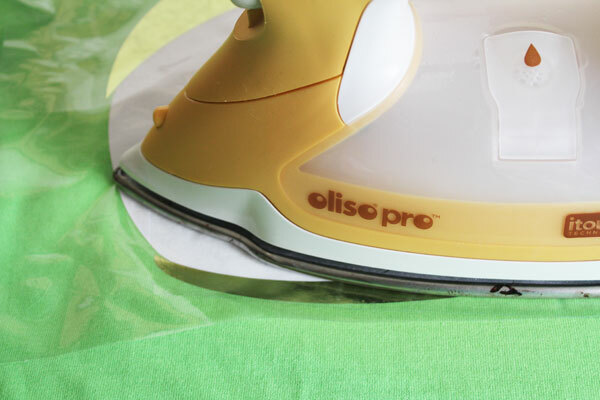 Peel away all the extra vinyl, leaving only the pieces you need. Removing these pieces is called weeding the vinyl. Place the iris first. You can use the white to figure out placement. Fuse the iris (black) down. 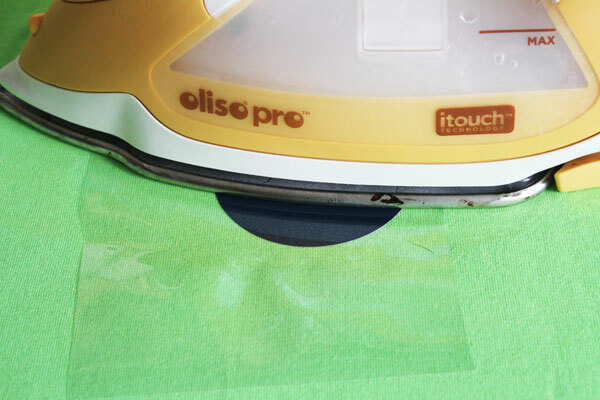 Allow to cool, then peel away the clear tape. Then place the iris (the sparkle). Fuse it in place, and remove the clear tape. Next, place the white. Fuse in place but DO NOT remove the clear tape. Peel back the top half of the clear tape. 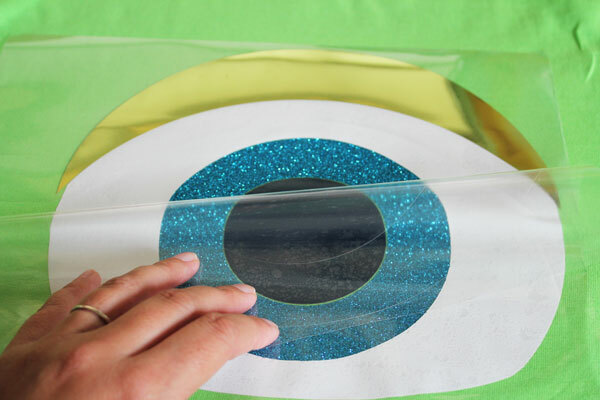 Place the top (larger) green eyelid in place. Put the clear tape back. Fuse down. Repeat, lifting up the bottom to place the bottom eyelid. Remove all the tape pieces. You might have some lines where two pieces of tape overlapped. Iron from the back to flatten these out. 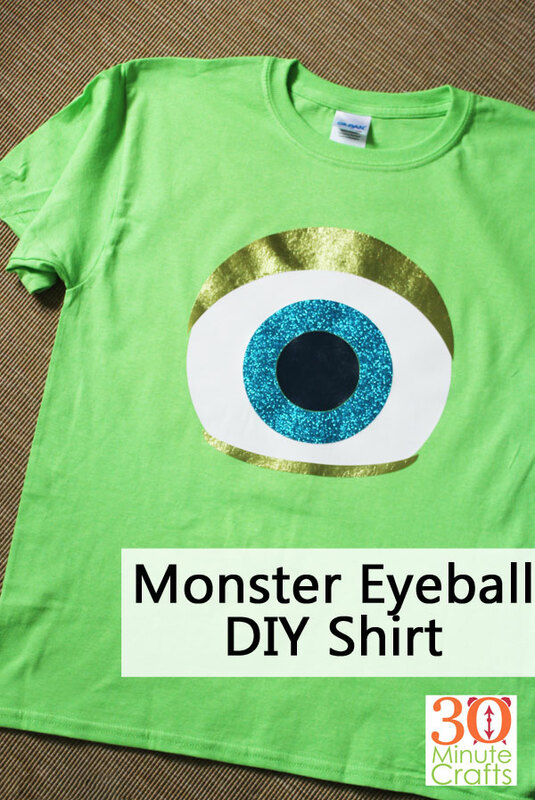 Your Monster Eyeball DIY Shirt is all done! 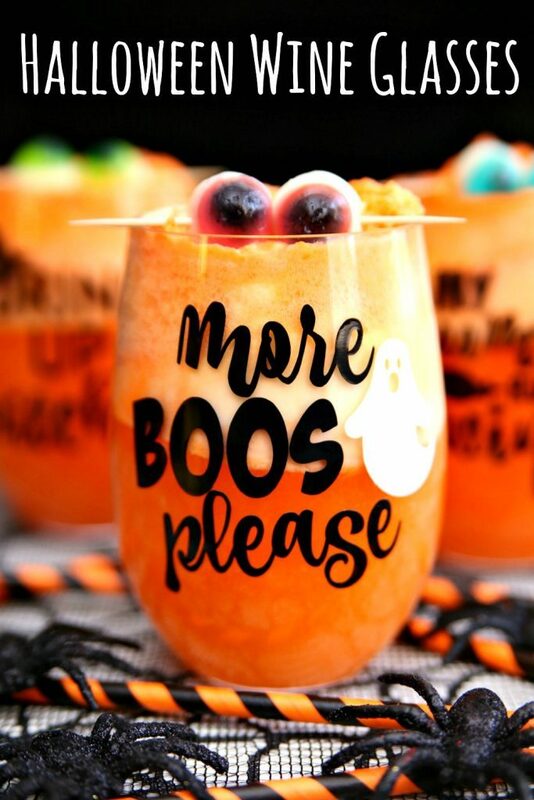 Kara over at Happy Go Lucky shows you how to make these fun Halloween glasses. 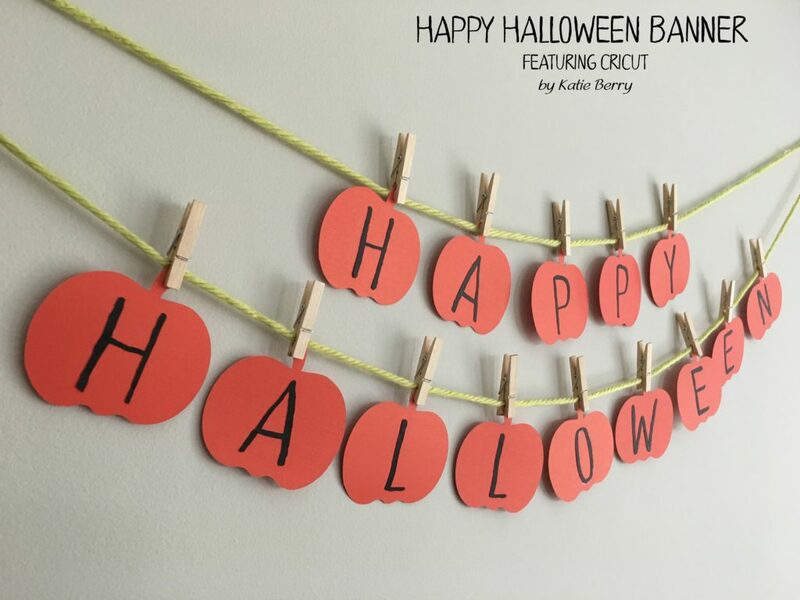 Katie made this fun Halloween Banner with pumpkin cutouts over at A Sweet Berry. 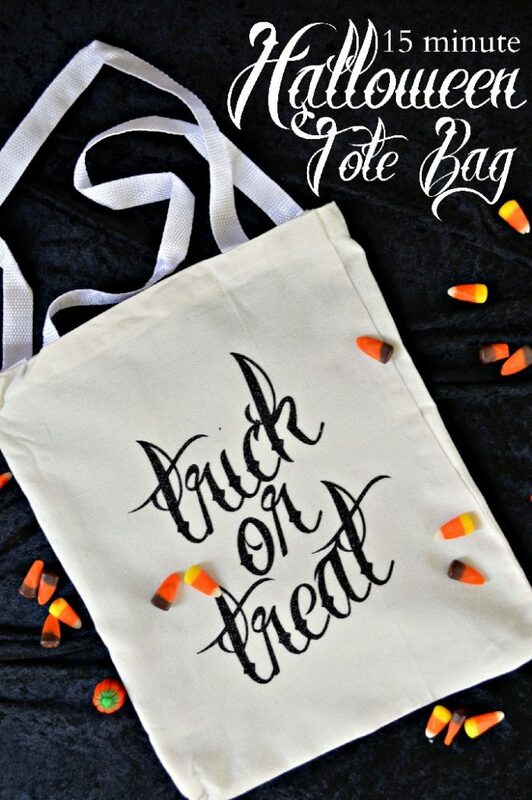 Check out this great Halloween tote bag that Jessica from Mad in Crafts whipped up in under 15 minutes! 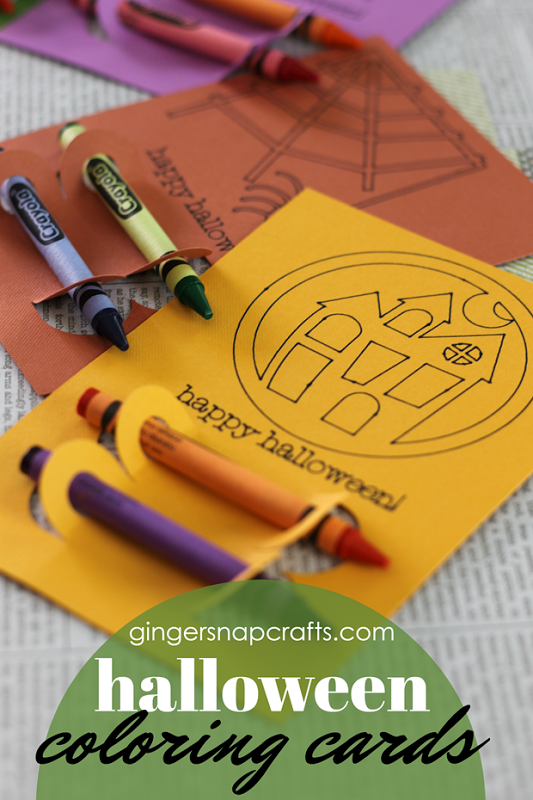 Over at Gingersnap Crafts you’ll get the details on this Halloween Crayon craft – a perfect treat to pass out if you’re putting a teal pumpkin in front of the house! 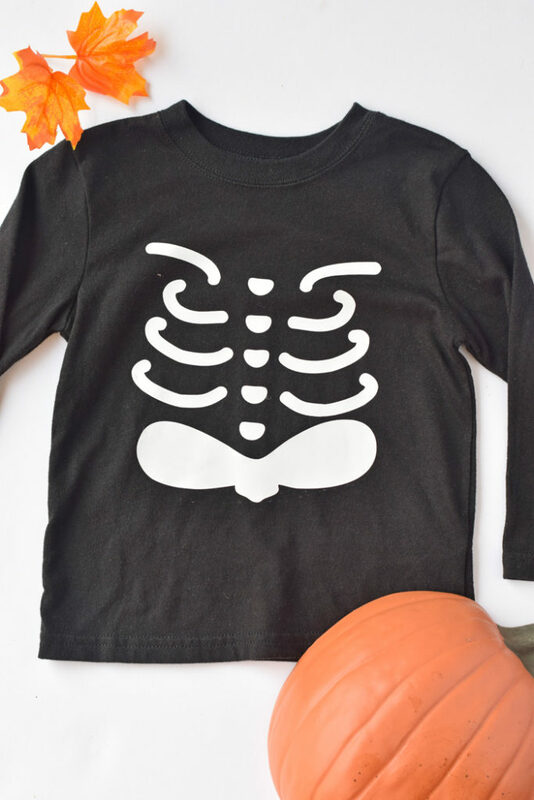 LOVE this skeleton shirt DIY from It Happens in a Blink. Want a sweet way to brighten someone’s day? 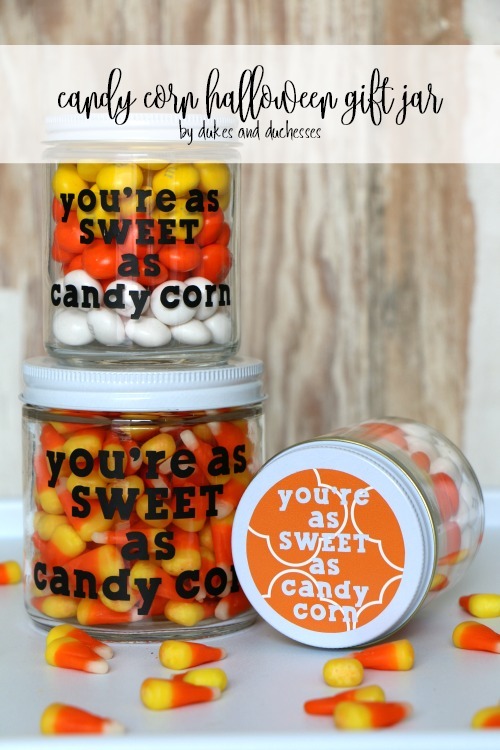 Check out this fun Candy Corn Jar from Dukes and Dutchesses. 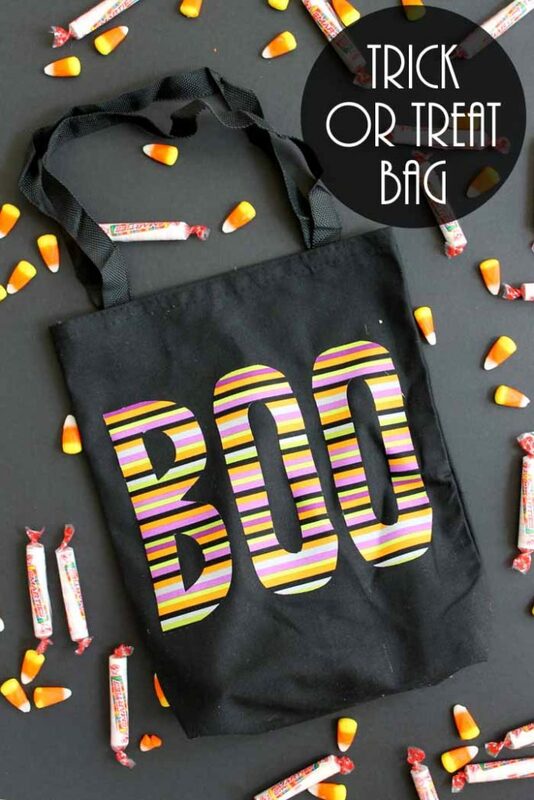 Jen from 100 Directions, one of my awesome co-hosts this week, shows you how to make a Boo Bag with Print-then-cut! 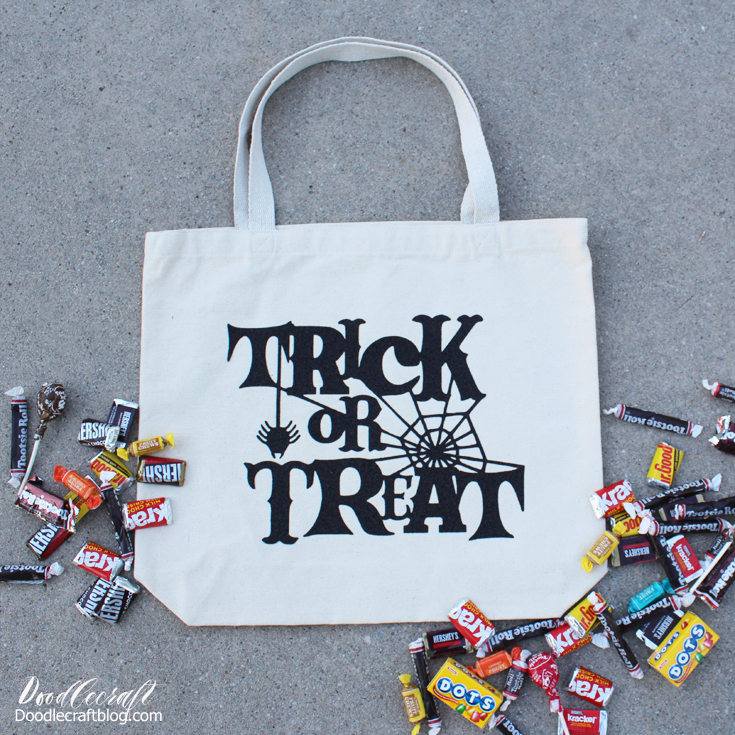 My long-time co-host, Angie from The Country Chic Cottage made a Treat bag using Fabric and Heat n Bond. Thanks so much for joining along this week! 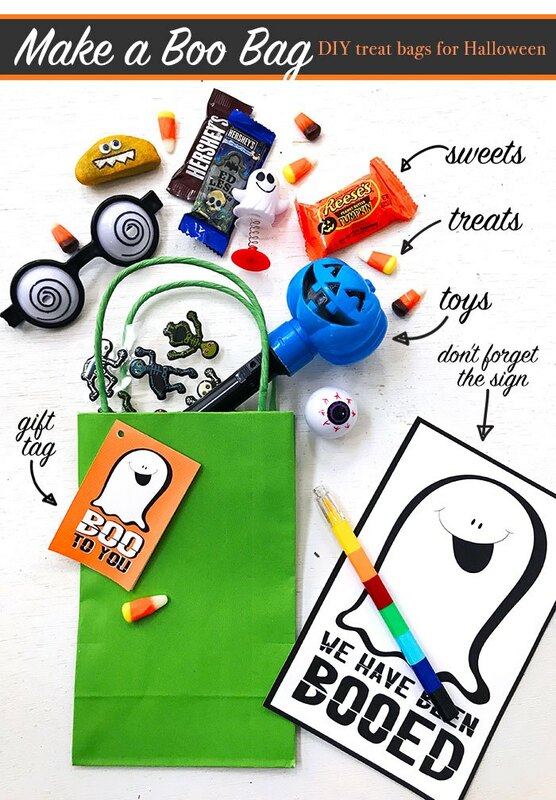 If you didn’t catch my other posts, make sure to check out my Cricut Antenna, Halloween Treat Bag Tags, Halloween Blocks, and Pumpkin Candle Mat. 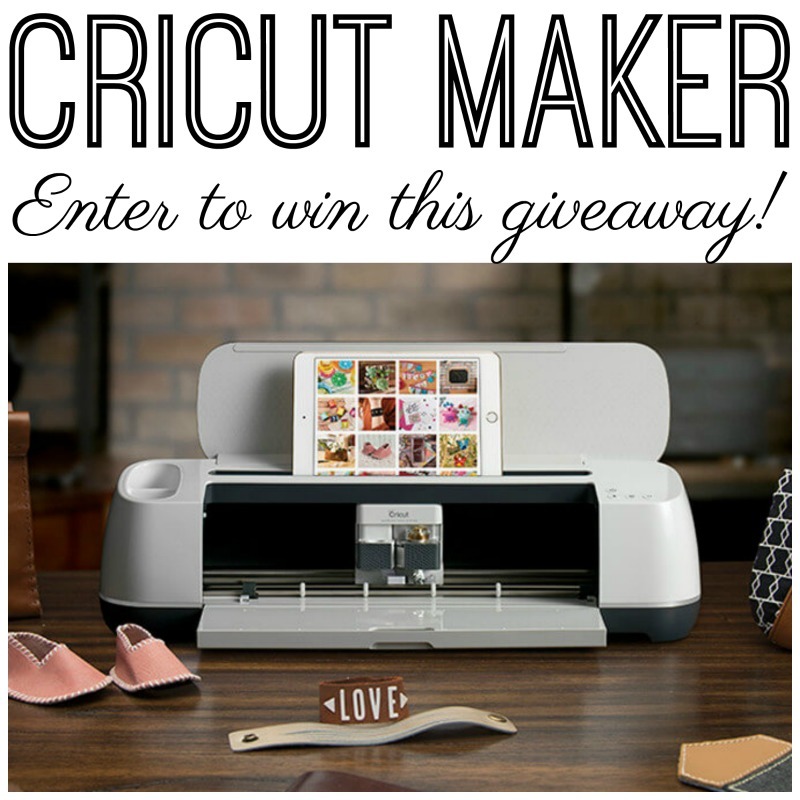 And be sure to enter the giveaway… you might be our one lucky winner! Hi! am new to Cricut. 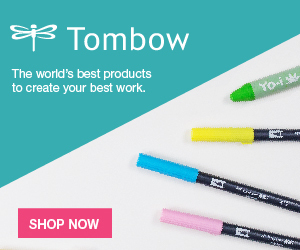 How can I get the Cricut eyeball template to upload into my Cricut Design Space? My daughter and her friend are going to be Mike & Sulley for Halloween and this is PERFECT!!! Thank you in advance for your help! 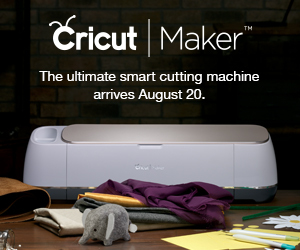 From a desktop computer that has Cricut Design Space loaded, just click on the link provided above. It will load right in. However, it must be from a *computer*. It cannot be a tablet or phone. If you click the link from a tablet or phone, it does not work. Thanks for the response! 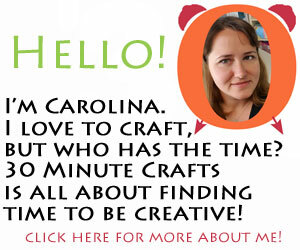 I am clicking on it from a Mac computer and it goes straight to “My” Cricut Design Space, but does not load your template. Maybe because it is a Mac? Or because I am not very tech savvy! Haha!! I have no idea! Maybe you can call tech support to see what the problem might be? It should load just fine!